Word on the street is the next BMW 7-Series will look less like something out of Chris Bangle's scribble diary, and more elegantly understated. Does that mean flame surfacing is growing up, and leaving behind all of its adolescent pretense? It's still hard to tell, considering the latest test prototype spotted is covered in something that looks like Lumpy Lumperson in a wet suit. Anyway, this is likely a late-cycle refresh, not a major redesign. 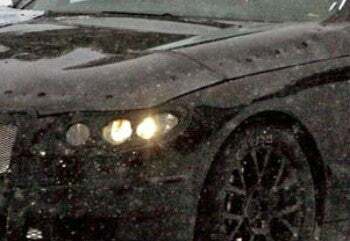 But according to The Car Connection, the most noticeable new segment may be the 6-Series grille. For good or ill.